Christine has been a student of yoga since 1992 and teaching yoga and offering workshops and retreats since 2003. 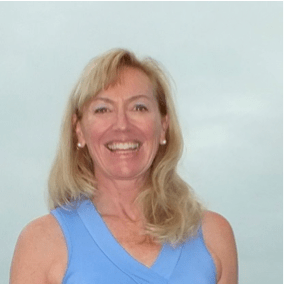 She is a certified yoga therapist with the Krishnamacharya linage, registered yoga teacher and certified by Elise Miller as a scoliosis trainer. Yoga is and always has been a holistic healing discipline that offers a broad range of tools for supporting health, healing and personal transformation. The healing process is very comprehensive and specific to each individual. You will be empowered by taking an active role in your own healing process rather than being a passive recipient of treatment. How will Scoliosis Yoga Therapy help you? 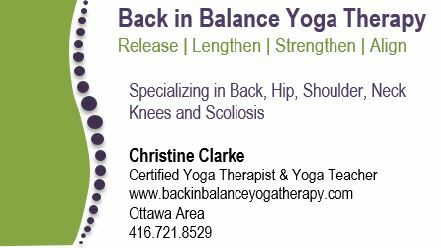 Christine continues to work with her own scoliosis, focusing on working with the tools of yoga therapeutically. In addition to working with students one-on-one, Christine teaches group classes of several styles of hatha yoga. Her teaching approach honours each student’s capabilities and limitations. She supports nurtures and motivates her students with her sense of humour and compassionate nature. Her classes offer options that are mindful of life stage, age, overall health and body type.